What can I say? I like symmetry in my outdoor holiday décor. 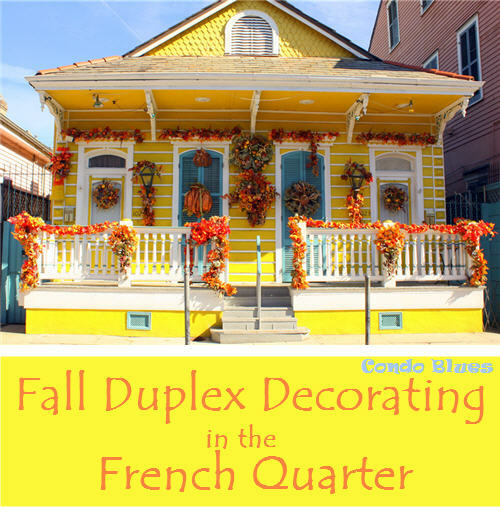 That’s why I stopped in my tracks when Husband and I passed this sweet yellow duplex in New Orleans last November and took it all in. Pin this Fall outdoor porch decorating idea for later! First of all, even undecorated, it is a lovely double shotgun style home. 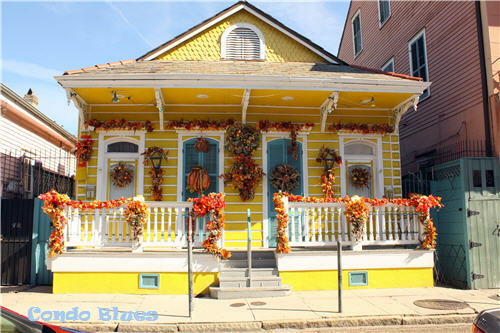 One of many that fills the French Quarter with architectural charm. But the simple act of knocking on a neighbor's door to coordinate the fall leaf garlands or maybe even going shopping together to find the common and coordinating elements does wonders. 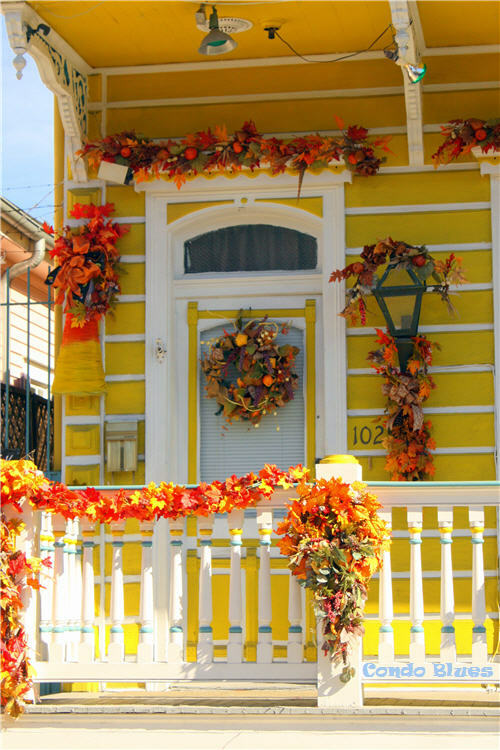 Each side of the shotgun house has different out door decorations to show the individual owners style but coordinate with the shared garland and placement. I just adore it. Especially that you can put the decorating up in September for fall, keep them as is for Halloween, and continue until the end of autumn for Thanksgiving. Walking past this house made me happy! So much that I want to share it with you. Enjoy!